Amazing when companies step it up, that is exactly what GoPro did with the #3, competition no more. Got to love it like Apple they might have been feeling the pressure and then whoop took it to another level. The HERO3: Silver Edition features built-in Wi-Fi and is compatible with both the Wi-Fi Remote (optional accessory) and the GoPro App. The Wi-Fi Remote (not included) is a waterproof, wearable remote control that can control up to 50 Wi-Fi-enabled GoPros at a time from a range of 600'. The HERO3: White Edition's built in Wi-Fi means it can also be controlled by iOS or Android smartphones and tablets running the GoPro App. The GoPro App enables full camera control and live scene preview on any compatible iOS or Android smartphone or tablet. 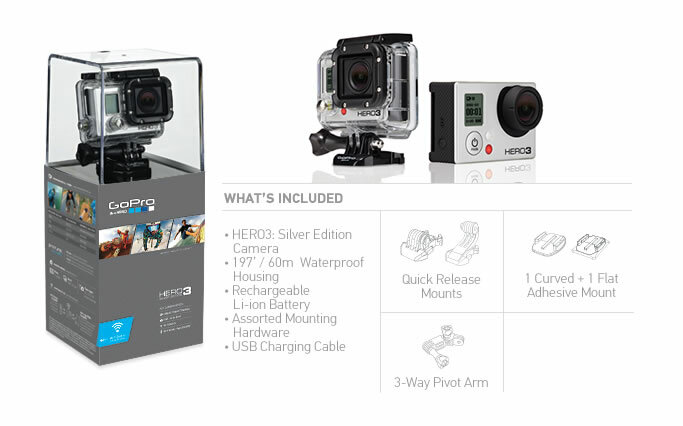 The HERO3: Silver Edition is compatible with all GoPro mounting accessories and older generation BacPacs™ along with the newer generation LCD Touch BacPac and 2nd generation Battery BacPac. However, as all HERO3 cameras have a new size and shape they require HERO3-specific Wrist, Skeleton and 3D housings so be sure to check for HERO3 compatibility when purchasing any new housing accessories. Are you getting everything you can out of your training? Polar Beat for the iPhone 4S and iPhone 5 helps you understand your workout better so you can get more effective results. Together with the Polar H7 heart rate sensor Polar Beat is an exercise companion that is smarter than any other training app. The most important part of your workout is the moment before you start. Polar Beat helps you plan for the best results: choose a training target – for example, to burn calories or beat a time or distance record – and choose your exercise. It is suitable for any activity, indoors or out. To get the most effective workout, you need to train at the right intensity. Polar Beat and the Polar H7 heart rate sensor give you real-time graphical and voice guidance to keep you at the right intensity. Plus it tracks your distance, pace and route. Naturally you can listen to your iPhone’s music along the way. See what you achieve with each workout – whether you improve your endurance, increase your strength, or burn fat. When used with an H7 heart rate sensor, Polar Beat helps you understand the impact of your workout at different intensity levels and gives the most accurate calorie tracking of any app available. Exercise is social, even when you do it alone. Challenge yourself – or others- and shout out your results on Facebook and Twitter. Things just keep getting better, first the GoPro, still an amazing piece of equipment, now goggles that have video recording built in! 1080p video and 8 megapixel photos, from right between your eyes. 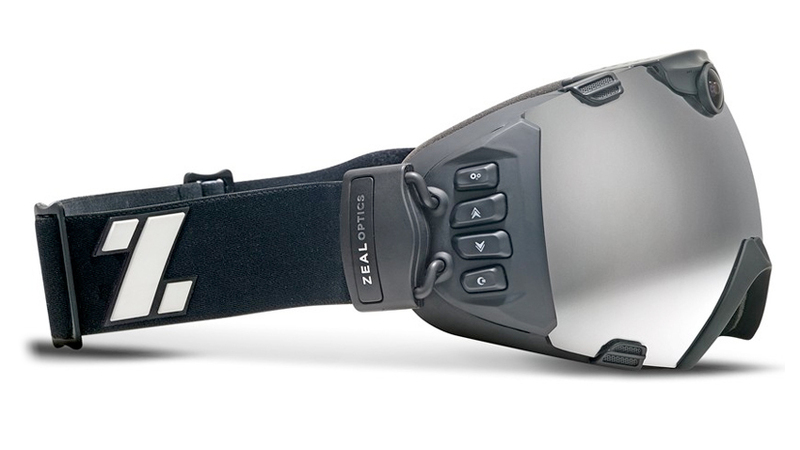 Zeal Optics introduced iON, now if they could make it for snow and MX that would be excellent. NEW The iON by ZEAL is born out of the need to continually evolve and lead the industry through technology that does more than just exist, it redefines how you see the mountain.